New York. The Hassidim, in the name of the Law. 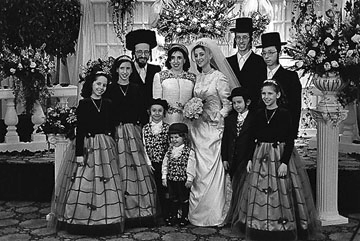 In New York, more than 200 000 orthodox Jews, the Hassidim, live according to the divine Law: the Torah. A life where the sacred - Kadosh- dominates each and every act of the daily life, with a strict separation between men and women. Women procreate, raise the children and work hard to allow men to dedicate themselves to the study of religion, the Torah, and the prayer... A life with no doubt.